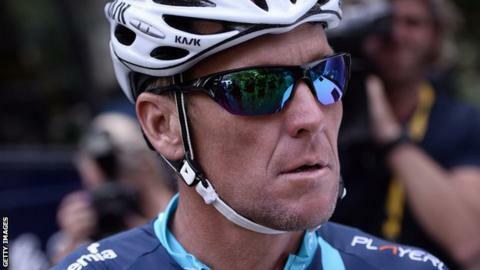 Banned cyclist Lance Armstrong has lost his bid to block a $100m (£79m) lawsuit by the US government. The suit alleges that Armstrong defrauded the government by cheating while riding for the publicly funded US Postal Service team. It was filed by Armstrong's former team-mate Floyd Landis before being joined by the government in 2013. A federal judge refused to block the lawsuit on Monday, which clears the way for the case to go to trial. Armstrong was stripped of his seven Tour de France titles and banned for life in August 2012. The 45-year-old won the seven titles between 1999 and 2005. The US Postal Service sponsored the team between 1996 and 2004. Armstrong admitted to using drugs in all seven of his Tour wins in January 2013 while Landis was stripped of his 2006 Tour de France title for failing a doping test.